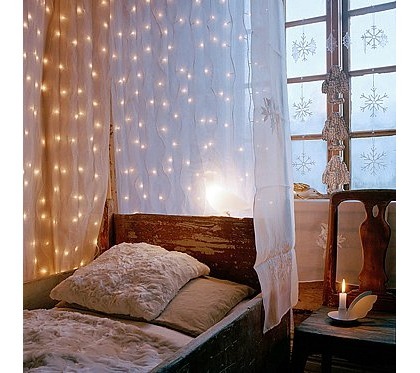 One day, when I have a house, I will cover one wall with white Christmas lights. Maybe I will hang a sheet/curtains in front of them to blur the light. 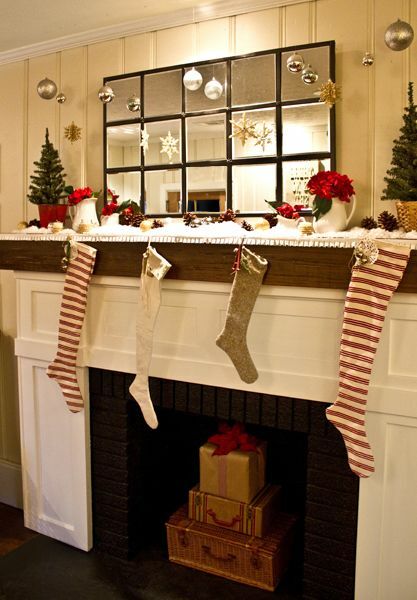 And I will also have a mantle that I can decorate for the seasons, or just because. A fireplace would be nice too, but I'd be happy with just the mantle and some candles. From The Lettered Cottage, full of awesome home design! 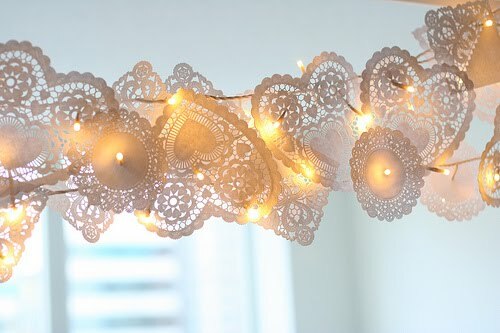 Love the strand with the paper doilies, very clever! So pretty :) What lovely thoughts on a dreary winter's day. i love ALL of those pictures. especially the lights with the sheet/curtain. i'm going to have to do that sometime. so beautiful!